Agony And Ecstasy In One Convenient Location! How can something so awful be so much fun? 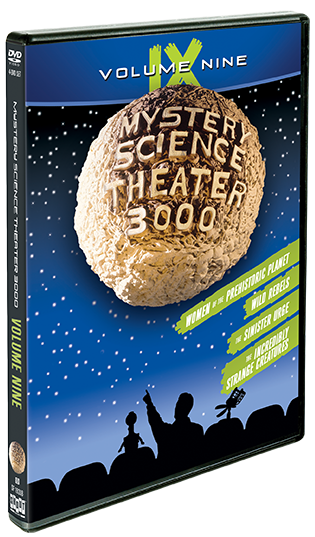 That's a riddle solved once again by the men, women and robots of Mystery Science Theater 3000, which turns affectionate mockery into an art form in this new collection of deliriously funny episodes from the beloved TV series. Joel, Mike, Tom Servo, Crow and the usual gang of misfits take us on another memorable ride through four films that only the films' mothers could love. 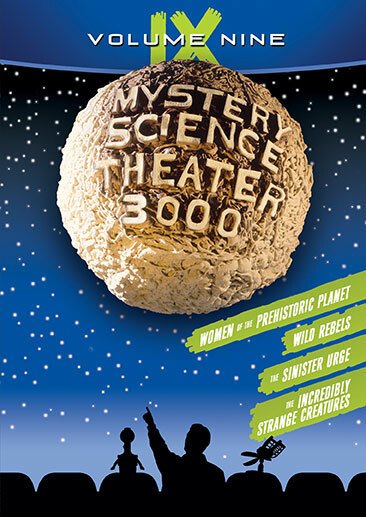 And yet, by the end of this ride, just see if you don't love them too – even Ed Wood Jr.'s film The Sinister Urge. So fasten your seatbelts. The Satellite of Love is back in action at warped speed!